1. Cook cupcakes beforehand and allow to fully cool. I purchased Duncan Hines yellow cake and prepared the cupcakes according to the directions on the box. 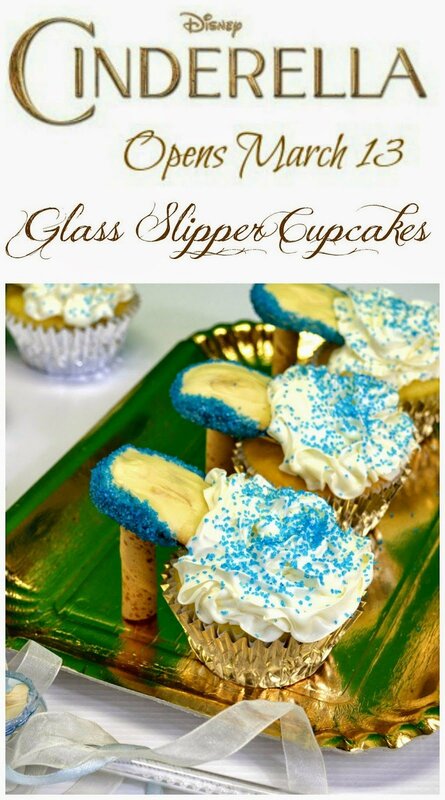 You want to go with a lighter colored cake mix, to compliment the glass slipper effect. 2. Melt white chocolate squares on the stove top or microwave. You want to slowly melt the chocolate, so in the microwave set on 50% and on the stove top set on simmer. 3. Measure the height from the bottom to top of cupcake, this is so you know how high the heel should be. Cut the Pirouette cookies to the correct size (the height you measured) and set aside. 4. Place the blue sprinkles in a bowl and set aside. 5. Dip half of the Milano cookie into the white chocolate. Immediately remove the cookie and cover edges with the blue sprinkles. 6. Dip the tip of the Pirouette cookie, which you cut beforehand, into the white chocolate and stick to the bottom of the dipped Milano cookie to create a heel effect. 7. Place the cookie on wax paper and allow to cool and harden. 8. Once the white chocolate has hardened, stick the “un-dipped” side of the Milano cookie into the cupcake. It will now begin to look like a glass slipper with the Pirouette cookie being the heel of the shoe. 9. Cover the top of the cupcake and un-dipped cookie with white icing and sprinkle with the blue sprinkles. 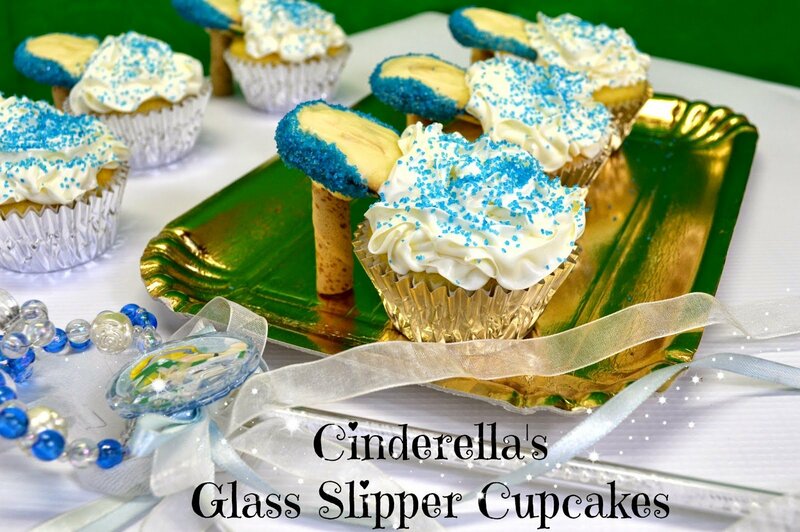 This is such a fun Cinderella inspired treat and the kids absolutely LOVED it! It would be great for princess/Cinderella themed parties or before you go see the movie coming out March 13th. Check out the new trailer for the film, it’s sure to be a mega-hit! These are so cute! I never would have thought of how to make these. And they don't even look hard to make! Looks yummy, love those Cinderella cupcakes, my favorite movie of all time!